With over 30 years IT leadership experience, Jos has held a variety of CIO roles and non-executive director positions. 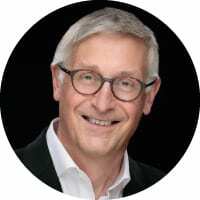 He is a recognised independent analyst and researcher, Past President of the BCS and also of Socitm and a retained strategic advisor for a range of IT businesses on digital practice. Previously listed as the ‘most influential and innovative CIO’ in the UK, he has worked with national and international governments on a range of technology programmes. For over a decade he was CIO and CDO for Hampshire County Council, leading a range of award winning innovative programmes. Digital transformation requires a blend of business and technology skills, with an eye for detail, influence and advocacy. My background spans arts and sciences, and I have a passion for the power of technology to transform, but in ways which genuinely puts the customer, client and citizen at the heart of the interaction. This coupled with many years of grappling with technology implementation challenge, has formed my experience. I speak and write extensively, online and on paper. I also undertake a range of coaching and mentoring activities, university lecturing and public speaking. I spend much time advising boards and politicians on digital planning, and have found that ‘Chatham House Rules’ events can be a powerful and safe way to help with skills transfer. Too many to list here, but I write on this topic each year for the Society of IT Management (Socitm). Most of my time is spend with companies from the smallest start-up to household names, in engaging better with the public sector. I have written guides for sales execs, undertaken mentoring, coaching, and other advisory work. I have run events, roundtables, webinars, undertaken research and thought leadership publications. NED advisory, public speaking and lecturing assignments for universities and government. They can contact me through my Twitter or LinkedIn.